Homeopathy is a safe form of treatment for any conditions that may arise during pregnancy. 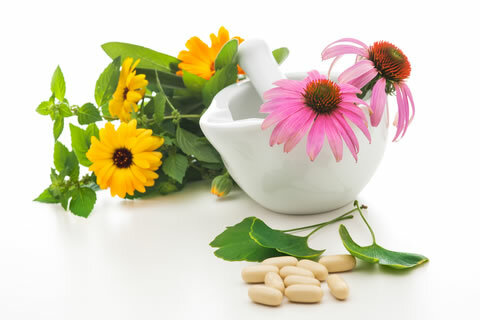 Homeopathic remedies may also be used in conjunction with your regular medication, as there will not be any negative interaction between the two. Homeopathic remedies can be used for most reversible illnesses whether acute or chronic. The healing response in chronic conditions may take longer as your body also has to heal the damage which may have been done by previous suppressive treatments. Homeopathic remedies are absorbed in the mouth and best taken under the tongue.Liquids should be kept in the mouth for a few seconds before being swallowed. Liquid remedies may be diluted, by placing the required drops into a glass with 5 ml of water before drinking. Homeopathic Remedies may be taken any time of the day, with the mouth free of tastes,such as coffee, toothpaste, mints, food, etc. (e.g. 15 minutes before or after a meal). Remedies need not be taken at set intervals e.g. every 4 hours. If a remedy needs to be taken, e.g. three times a day, but work, school or traveling makes it difficult, take the remedy in the morning, again as you get home in the afternoon and again before retiring to bed. Where more than one remedy is prescribed, allow each remedy maximum chance of absorption by waiting a few minutes before taking the next remedy. A temporary aggravation of existing symptoms is possible after taking Homeopathic remedies. This is a good indication that the remedy is taking effect. These symptoms will improve systematically. In the event that the aggravation is too uncomfortable, stop taking the remedy for a day, take it once the next day, then continue with suggested dosage. In the treatment of acute conditions, such as cold and flu, take 2 sprays every15 minutes for the first six doses, then every two hours for 4 doses,until symptoms are relieved. Thereafter continue as directed. Should acute symptoms flare up, repeat frequent dosage. Pharmacological action: Action based on Homeopathic remedy principles. Indications: This remedy has been prepared according to Homeopathic principles and in accordance with the relevant indications as described in the Homeopathic Materia Medica. Side effects: No known side effects. Known symptoms of overdose and particulars of its treatment: None known, except in alcohol based preparations, where ingestion of a whole bottle by a child may result in alcohol intoxication. Treatment is symptomatic. Do not stop any other prescribed medication unless advised to do so by your health care practitioner. Keep all Homeopathic Remedies out of the reach of children. Stop all remedies, herbal and natural supplements 7 days before surgery. Storage instructions: Keep the Homeopathic Remedies in the original containers and away from strong smelling substances such as camphor, mints, perfumes, etc. Avoid high temperatures (store below 25ºC) and direct sunlight. Replace cap tightly. Contact Dr Sonja to talk about how the correct dosage and directions of Homeopathic remedies. can be more beneficial to your health and well being. Phone 0434 726 2141 or send an email.